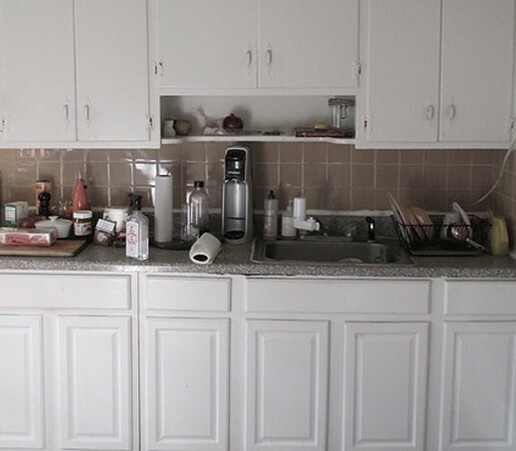 This Sad Kitchen Gets A Makeover That I Am Drooling Over! This sad, sad kitchen looks so sad that one might think you would need to take it down to the studs to make any difference at all. But then you would be so surprised to see how dramatic the difference is from the makeover given by Megan Pflug and documented over at onekingslane. Check out this gorgeous room! I love this farmhouse chic decor and all the small details that went into creating it. You should head over to onekingslane to see and read about how this makeover came about and while your their, steal as many ideas for yourself as you can! 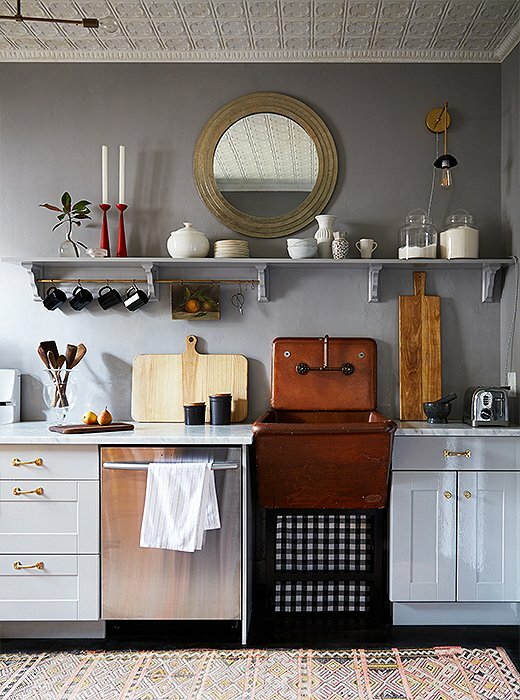 Do you have any ideas that we can steal to add to a dramatic DIY kitchen makeover? This kitchen really only needed cleaning and organizing. The make over is not great. Who else thinks diy is cool ? Not impressed. Especially do not like the sink. Not this one. I wouldn’t want this look. To each their own. Right?